For the first half of the year, China’s domestic economy has generally performed well. However, various economic indicators suggest that downward pressure, which has lasted for over two consecutive years, remains unabated. The source of this pressure not only comes from the short-term effects of the global financial crisis, but also from long-term factors affecting the domestic economic cycle. In the 21st century, China’s economy experienced a decade of rapid growth, which was supported partly by high investment, high consumption, and high pollution. 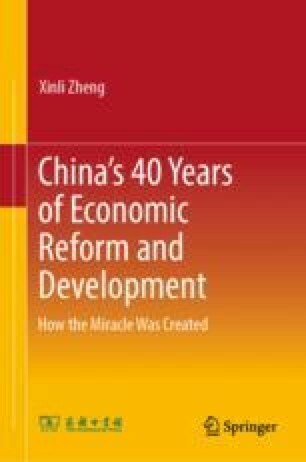 Although the 17th CPC National Congress in 2007 provided a strategy for transforming the model of economic development, major economic structures, including investment and consumption structures, did not improve and, in fact, became even worse due to the international financial crisis and reform setbacks. The current economic downward pressure is the result of various factors, including under-consumption, overcapacity, slow industrial upgrading, overstretched resources, too much strain on the environment, the widening urban-rural divide, and imbalances in regional development. The 18th CPC National Congress reiterated the central importance of transforming the development model for reform, and the Third Plenary Session of the 18th CPC Central Committee decided to comprehensively deepen reform. Both decisions provide an opportunity to transform the development model through reform as well as new driving forces for further development. Reform is necessary to alleviate the current downward pressure on the economy. This means breakthroughs must be made in removing the institutional defects that impede transformation of the development model, but also so enable the breakthroughs to unleash new driving forces for development. Only in this way can the country achieve a new round of continuous and sound development. This article originally appeared in in Qiushi, Chinese edition, no. 15, 2014.